A few months ago I wrote about how to root almost all kinds of Android smartphones with Framaroot. Framaroot is a great one-click rooting tool, very easy to use, because it doesn’t need a computer. 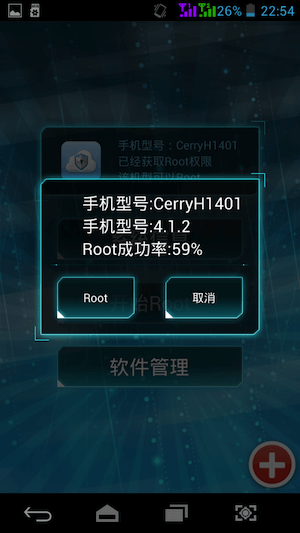 If you’re using Android 4.1.x – 4.3.x and unable to root it with Framaroot, then you can try using another tool like Root Master. This is a one-click rooting tool as well, just like Framaroot. 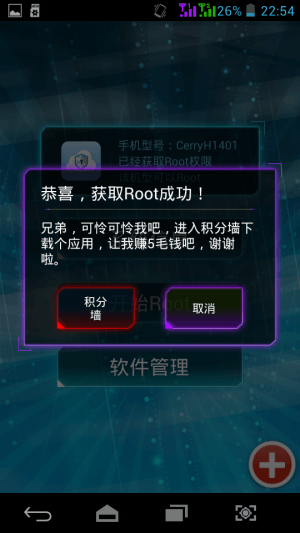 Root Master is somewhat confusing, because it uses Chinese and it can’t be changed into another language. But don’t worry, you’ll be able to figure out the root button. 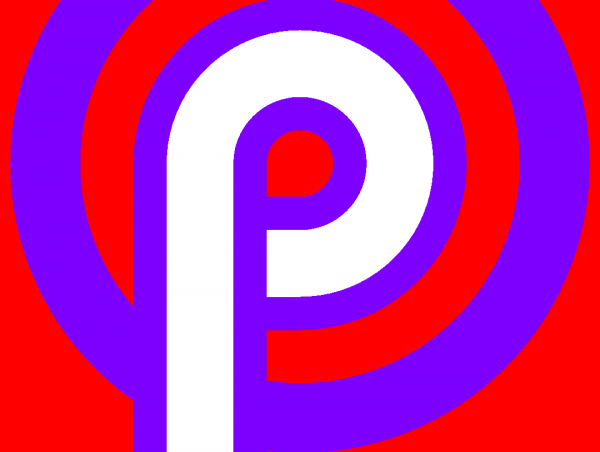 Download Master Root APK and then install it. 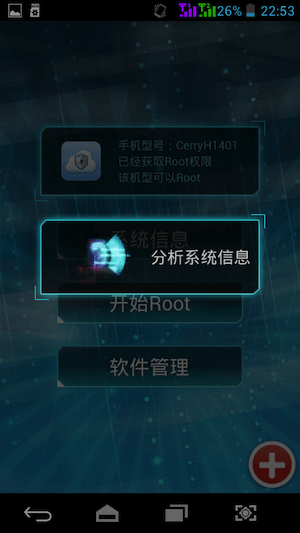 Just run the app and choose the button located in the middle, there is the word “ROOT”. 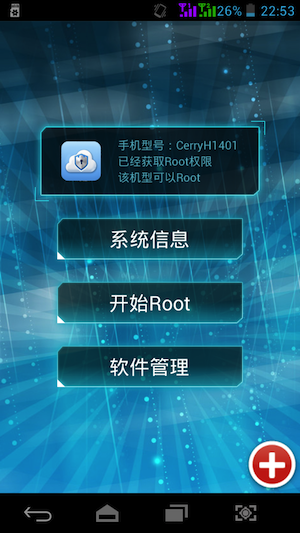 Root Master will analyze the Android to check whether the system can be rooted or not. If the system is rootable, it will display a button that has the word “ROOT” once again. Tap that button and let the Root Master start the rooting process. There is a sign that the process has been completed and your Android successfully rooted. Tap the purple button. Root Master will install an app like Superuser and SuperSU to manage apps that require root access. 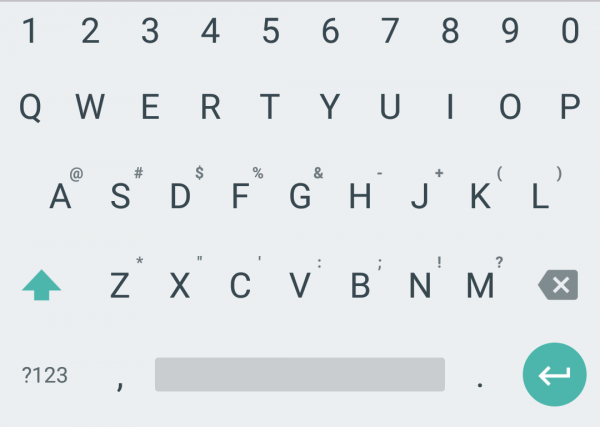 Unfortunately, the application also uses the Chinese, but you can replace it with Superuser or SuperSU without any problems. I’ve tested the Root Master on a very unpopular Android devices running Jelly Bean 4.1.2 and this app works very well. Please remember that this method only works on Android 4.1.x – 4.3.x. Hi, I tried this app. But after I click root there isn’t any red button but only the big purple one and after I clicked that, there is another purple one. But after I clicked it. The phone didn’t get rooted. Do you know what is wrong? Is it because I don’t have micro sd card? I’m using Samsung galaxy note 2 lite. Android 4.3. It should have been working for my phone, right? You can try using KingoRoot. It’s also working on almost android smartphone.